As of 1st November 2015 Hammond Motors changed their business strategy and became an authorised Ford & Mazda Service & Parts Agent. The Hammond Motors team live by their slogan, ‘Keeping it Local’. It has always been very important for owner operators, Grant and Irene, to get involved in their local community. The couple grew up in Kaitaia and they intend on supporting it! Grant and Irene have two adult sons, Karl and Shaun and love being back and supporting their home town of Kaitaia. 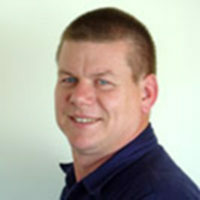 Grant has been in the motoring industry for over 34 years. After completing his apprenticeship at Northland Motors in Kaitaia, Grant took up the opportunity to move to Kaikohe into the role of workshop foreman at Fairhall Motors. In 1989 he established himself as a mobile mechanic and in 1994 officially set up Hammond Motors in Kaikohe. Hammond Motors became an authorised Hyundai Parts and Service Agent in 2007. In 2009 Hammond Motors relocated to Grant and his wife Irene’s hometown Kaitaia, where they also became the Nissan and Hyundai Service Agent. As of 1st November 2015 Hammond Motors changed their business strategy and became an authorised Ford & Mazda Service & Parts Agent. Irene has worked in administration for over 34 years and has been integral in the management of Hammond Motors for over 20 years in Kaikohe. Grant and Irene have two sons, Karl and Shaun, and both Grant and Irene look forward to supporting and being part of their hometown again.